Do “juice cleanses” really work, and are they worth the money? One of our readers asked about juice cleanses. She wanted to know whether they worked and if they were worth the money. The benefits of an occasional juice cleanse has mixed thoughts depending on which expert you ask. Some health practitioners would go so far as to say it was a necessity in today’s modern lifestyle. The average person doesn’t eat well and is bombarded with toxins through the products used to clean our homes and bodies to the air we breathe. Advocates for cleanses believe they help give our overloaded systems a rest, allow detoxification to happen and have added benefits such as increased energy levels, weight loss, clarity of mind and focus and clearer skin. There are numerous benefits to eating a diet high in raw foods, so a juice cleanse seems like the perfect way to get a boost of vitamins and minerals. People who are not in favour would say the claims of a cleanse are wildly overstated. They believe the body is a magnificent machine, capable of cleansing itself daily though the liver, skin, lungs and kidneys. They would report any weight loss will be temporary and you’re more likely to experience headaches, withdrawal and plain hunger rather than anything else! There is the danger for some people, for example those with diabetes, that the high sugar content of fresh juices can sky rocket their blood sugar levels while nutritionists might be concerned that by juicing, you’re losing out on an important part of the fruit and vegetables – the fibre. Life is all about balance, and it’s no different with a cleanse. 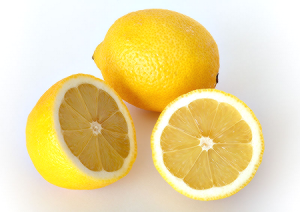 A carefully balanced cleanse done periodically for a day or two can bring benefits. It certainly gives your digestion a rest and provides a great increase in vitamins and minerals. One person I know does a juice cleanse for one day a month and feels great on it, but we’re all different. You might be able to manage it for a weekend or longer, whereas a day would be more than enough for others. The best thing might be to have a general overhaul of your day to day diet. Are you drinking adequate water? Do you eat the recommended five to 13 portions of fruit and vegetables per day? Are you avoiding processed sugars, caffeine and processed foods as much as you can? Are you including some of natures ‘superfoods’ in your diet? If you’re eating a balanced and nutritionally sound diet that is 80% wholefoods then you’ll be doing your body a lot of favours already! If you decide to do a juice cleanse or introduce juices into your life, you’ll need to select carefully from the wide range of juicers that are available to purchase. I have the Philips Avance, which I still recommend to people because it’s really easy to clean and you get lots of juice from the fruits and vegetables you choose. From my limited experience I would say you DO get what you pay for, so it’s worth investing in the best one you can afford. Then all you need to do is stock up on quality fruits and vegetables and get juicing! 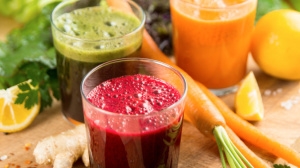 Here are some great juicing recipes to get you started. What about you – do you juice regularly? What is your favourite recipe?